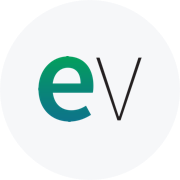 With EasyVista's intelligent service automation technologies, you can deliver exceptional customer-focused experiences, resulting in improved employee productivity, reduced operating costs, and increased customer satisfaction. 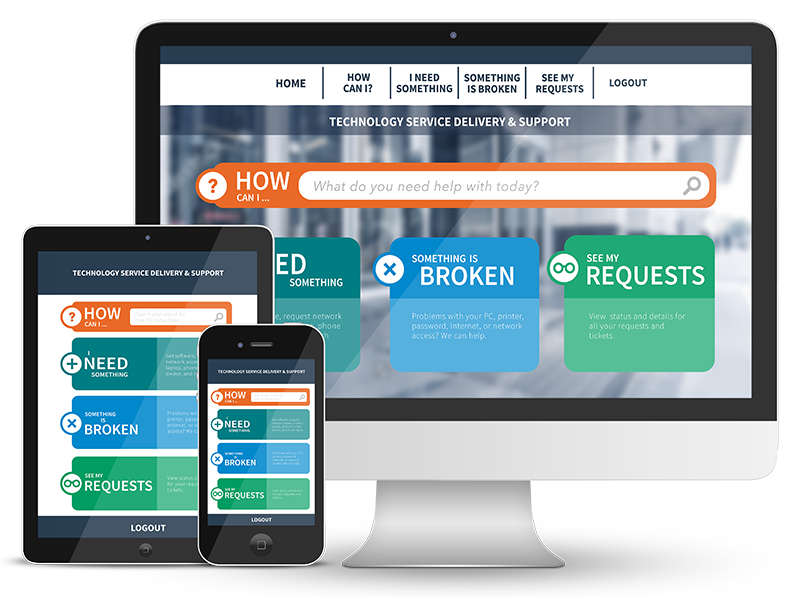 Service Manager is a proven ITSM software with the sophistication to support the most complex ITIL requirements — but with the simplicity, agility, and mobility required to make ITSM easy to use and easy to deliver. 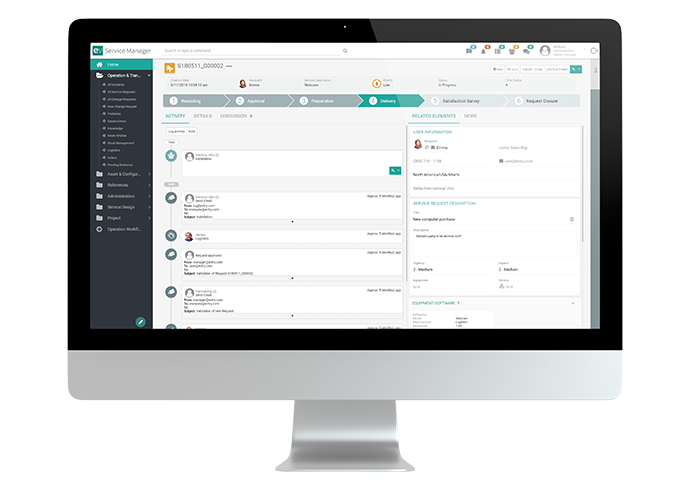 Self Help is an intelligent knowledge management platform that makes it easy to automate answers for employees and customers. 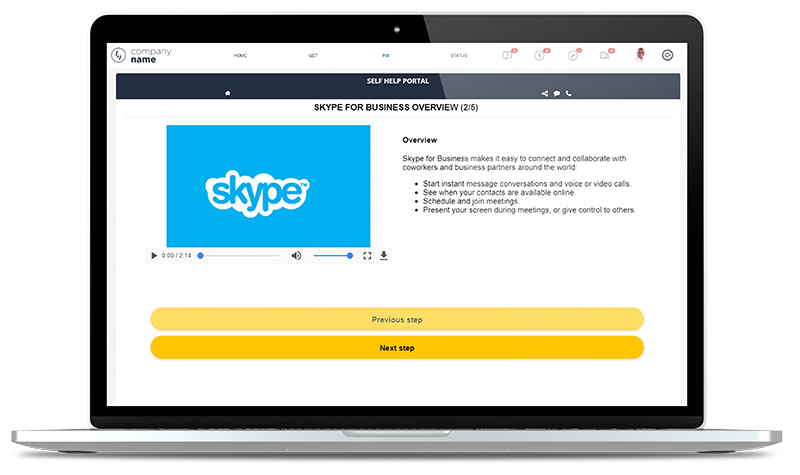 This tool is an essential ingredient to powering chatbots, virtual agents, portals and other self-service channels. 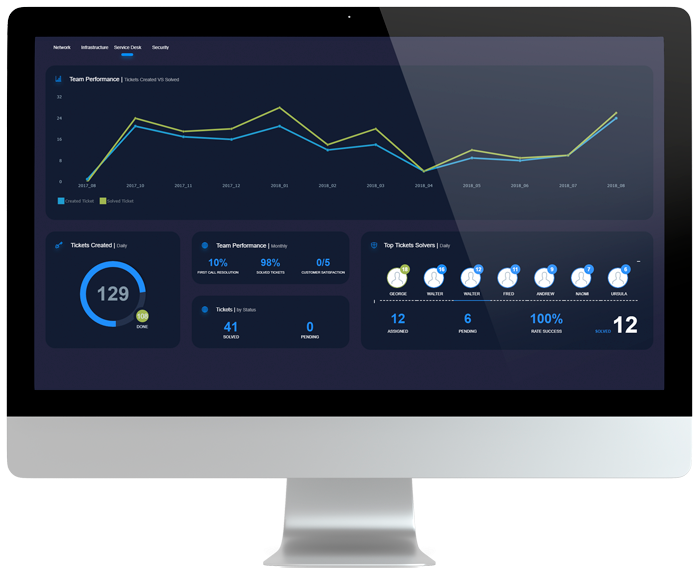 Increase employee productivity by over 30% with intuitive, responsive micro apps designed for people, including self-service for employees and customers, dashboards for executives, and apps for IT staff. 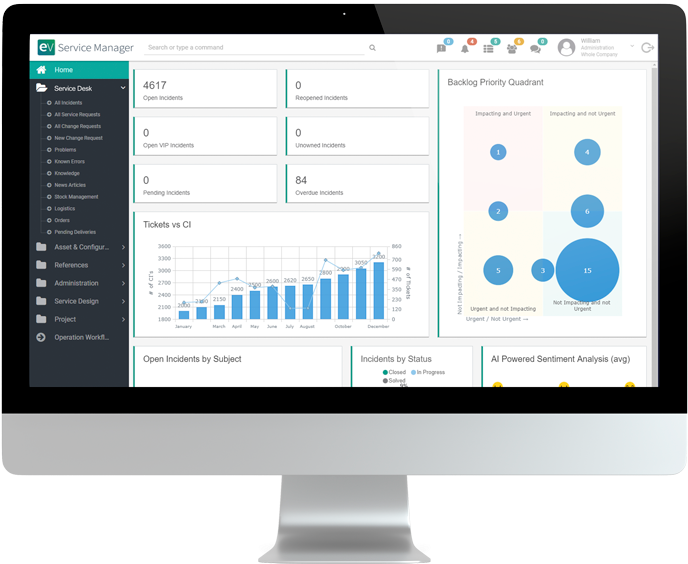 Each experience is built within minutes via a drag-and-drop app builder and ready-to-go templates, eliminating the need for complex coding. Reduce service desk or contact center calls by 30% and improve employee and customer satisfaction with an intelligent knowledge management solution. Going beyond a traditional knowledge base, our self-help software uses dynamic decision trees that help your employees and customers find the answers they need. 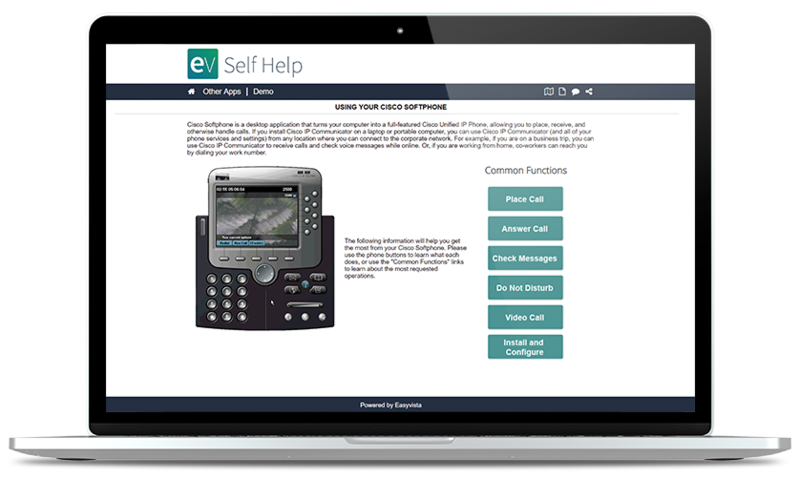 Self-help is a key ingredient for powering successful self-service, chatbots, and virtual agents. 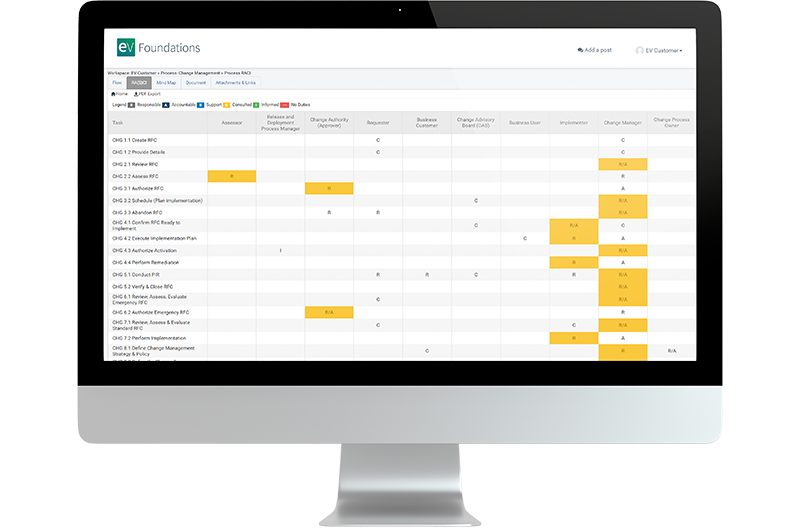 Every EV customer gains no-cost access to our ITSM foundations toolkit to ensure implementation success. The toolkit provides standardized industry process templates, IT maturity assessments, project readiness surveys, access to ITIL training videos, and automated documentation – all to help build a pathway to success.